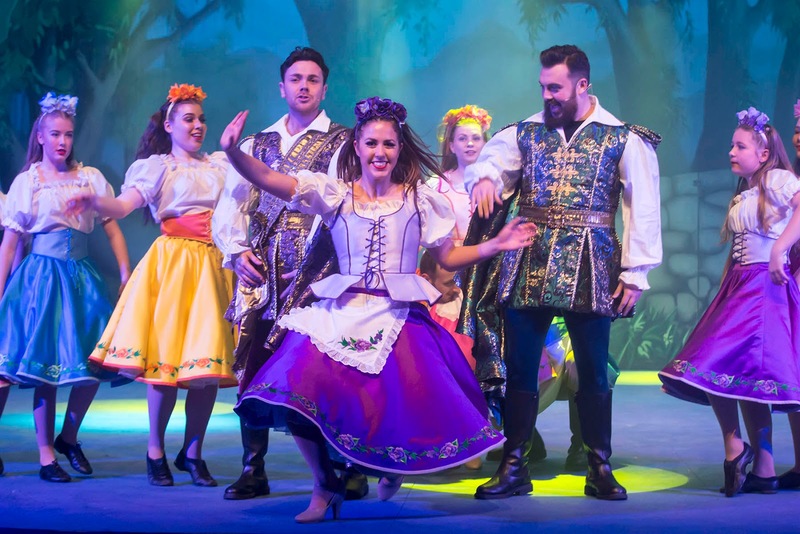 Blue Genie Entertainment have returned for the seventh consecutive year to Whitley Bay for the panto. The ever-reliable Steve Walls, in his eighth year, leads the gang as Buttons. 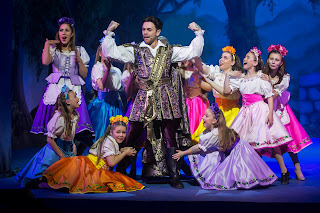 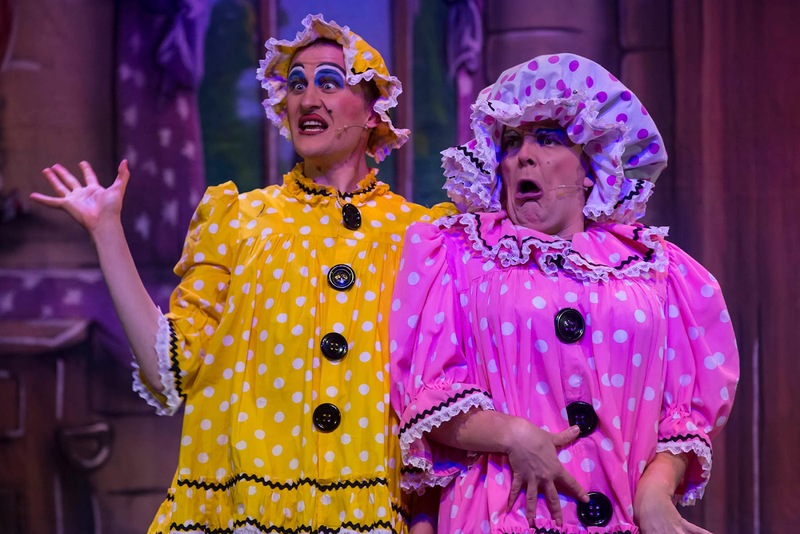 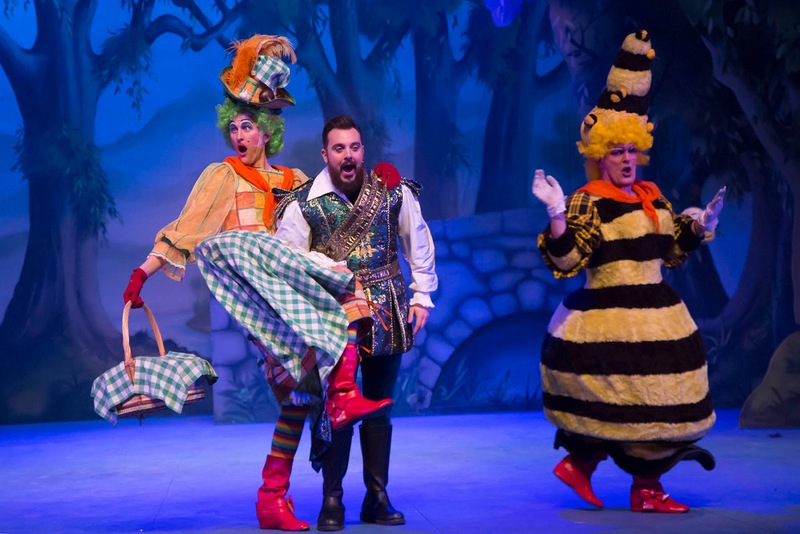 The Whitley Bay Panto continues to attract a younger crowd than many of the Northeast Pantos and writer / director Paul Ferguson takes this into account. Cinderella has less of the innuendo that often features in other shows. 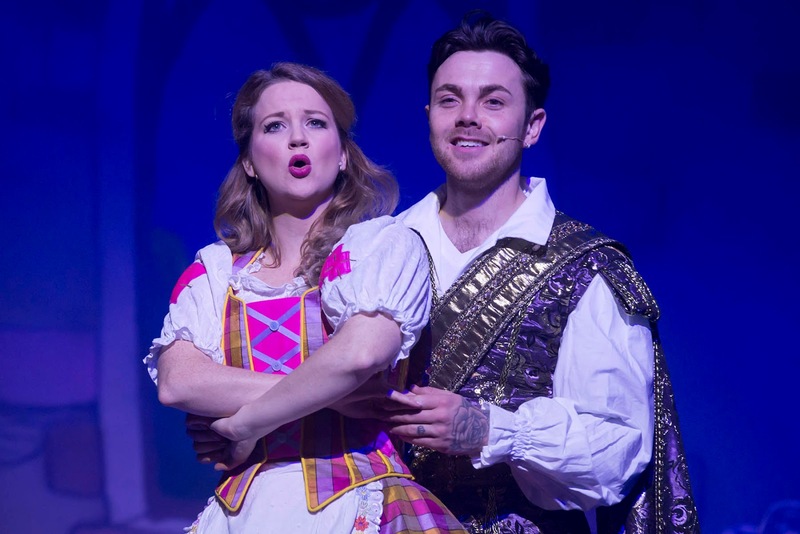 The show is still packed with puns, dance routines and a chance for former X-Factor star Ray Quinn to show off his vocal talents. 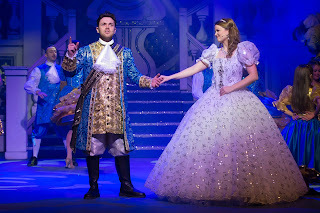 Cinderella must be one of the most performed of all of the pantos. 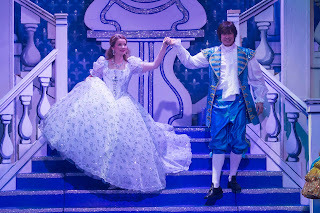 The tale of the Cinderella (Jessica Pease) who is bullied by her two ugly sisters, Mercedes (Damian Patton) and Porsche (Tom Rolfe) has all of the elements of a classic fairy tale. 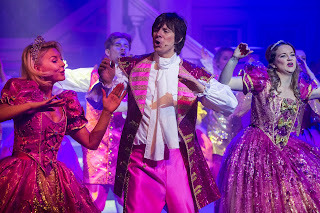 Unlike most stories that have been given the Disney treatment, the pantos don’t find themselves completing with the animation quite in the same way as, say, Beauty and the Beast. 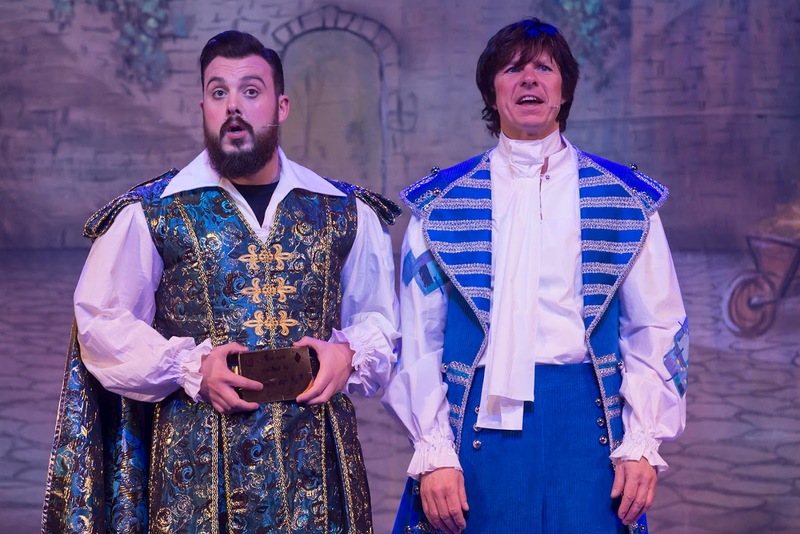 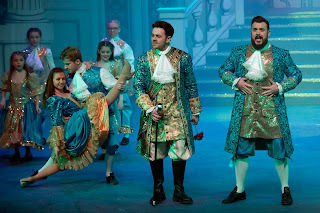 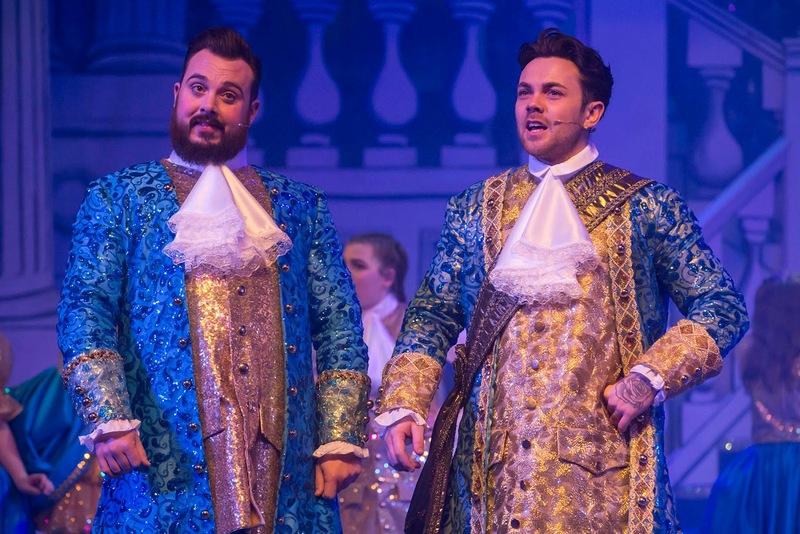 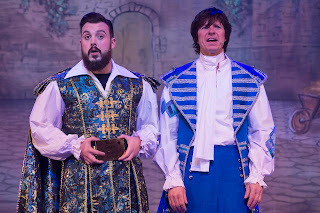 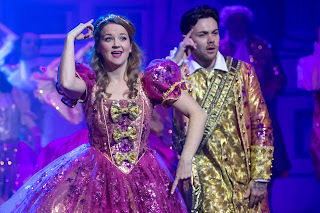 The panto version has Cinders’ best friend Buttons (Steve Walls) and the blissfully unaware Baron Hardup (David Burton) supporting Cinders as Prince Charming (Ray Quinn) and his butler Dandini (Ben Hanson) organise a ball to find the Prince a bride. Any likely problems with the story are quickly fixed with a wave of the Fairy Godmother (Emily Fletcher). 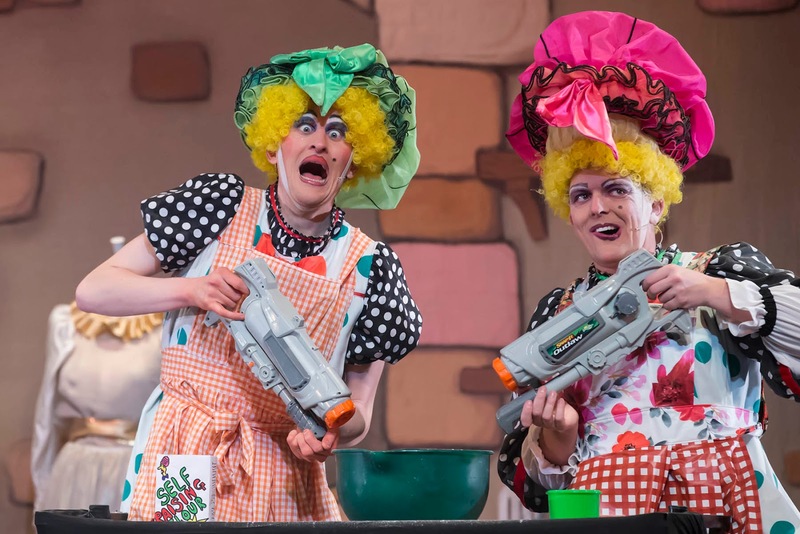 The Whitley Bay panto has plenty of well organised routines for the kids to get excited with. The combination of “If I wasn’t in panto then this is what I’d do” and the infamous Ghostbusters take-off scene helped give the second act an energy boost. Steve Walls worked hard with the matinee crowd to get most out of the experience. The show makes particular good use of the dancers, and the 4 professionals Mary Proud, Carolyn Sharp, Andrew Davison and Peri Walsham combined well with the young team of dancers. 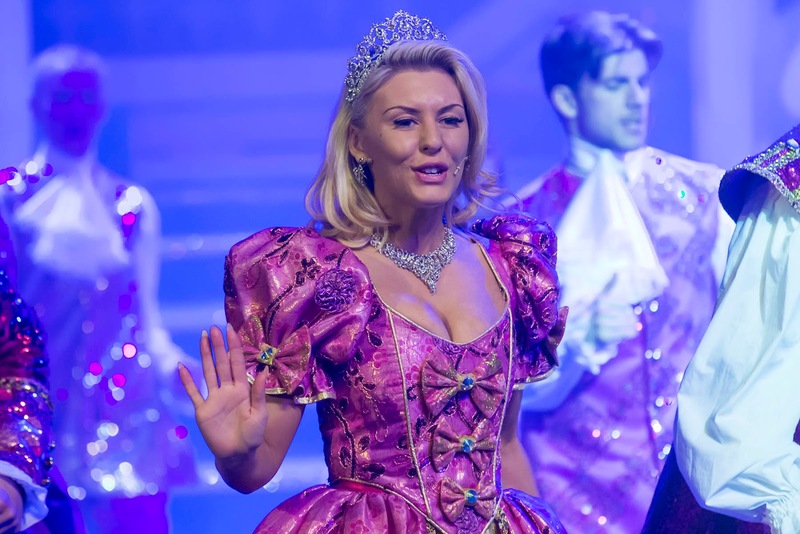 Choreographer Alison Hefferon has put a number of routines together to back the songs by Ray Quinn, Steve Walls, Jessica Pease and Emily Fletcher. 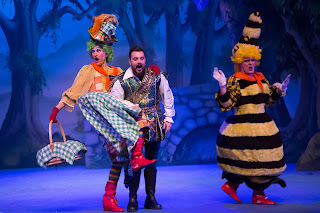 The costumes too were bright and cheery as one needs for the Christmas show. 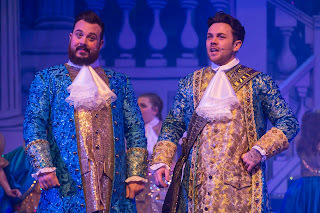 The only issue we had was the sound was strangely distorted at times and yet the overall volume was slightly quieter than many shows we’ve been to. 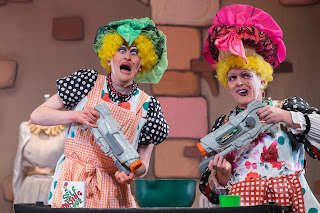 These issues seemed to effect mainly effect a couple of the characters and so it didn’t spoil the majority of the show. 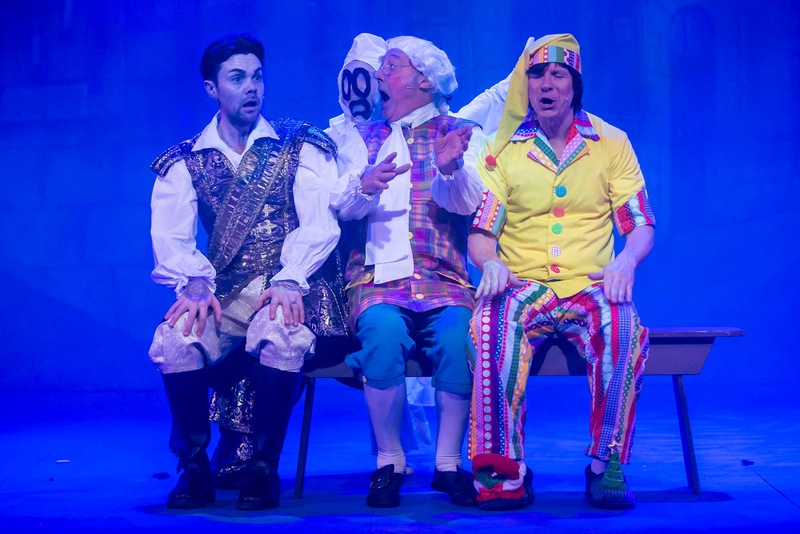 Having real coach and horses was a nice effect and helped make the close of act one become much more special than a cardboard coach. Cinderella is one panto that you can safely take your younger family members too. Steve Walls is acutely aware of how to handle the audience and get them involved. 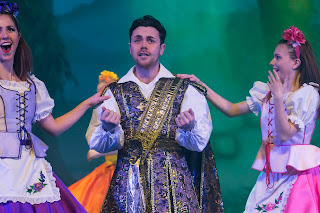 The fact that he appeared in the foyer at the end to meet the audience was a nice touch too. 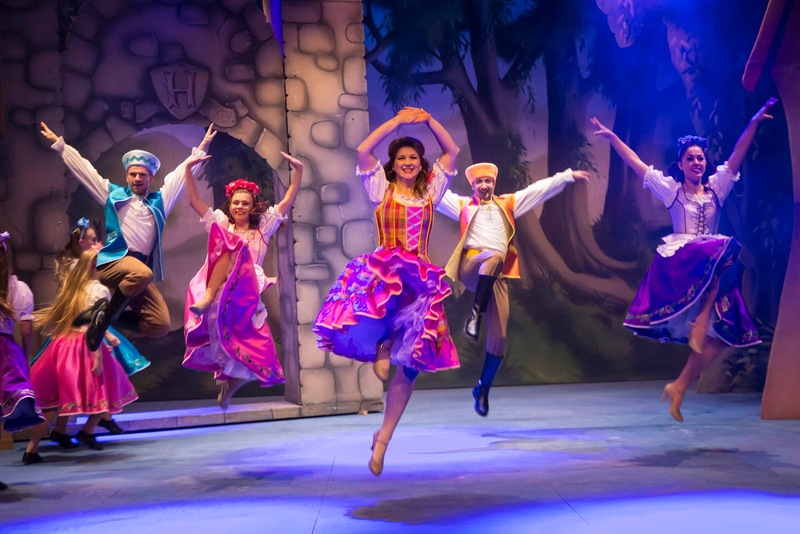 A friendly, happy family show with a glittering ending. Isn’t that what panto should be about? This year’s run has been extended by a full week, there will be 67 action-packed performances of ‘Cinderella’at the Playhouse, WhitleyBay from 2nd December 2017 – 7th January 2018. 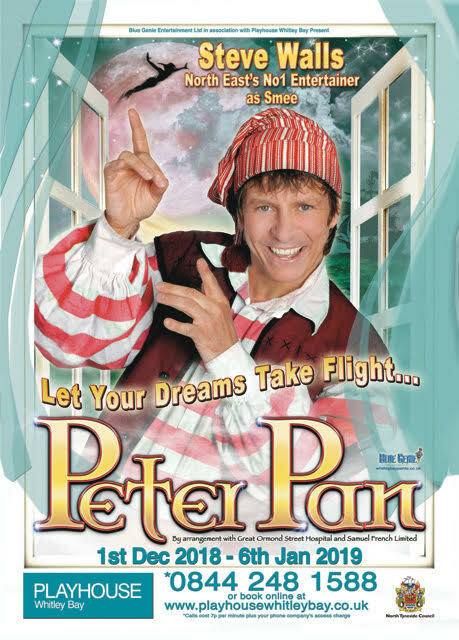 Tickets are on sale now and already selling fast. Call the Playhouse Box Office on 0844 248 1588 or book online: Tickets from our afilliate Eventim UK.